Home to detail view transition. 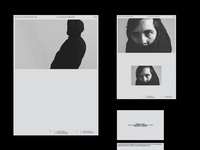 This is a self-initiated concept to re-design the Sundance Film Festival app experience. I was recently in Salt Lake City over Sundance. While looking into the Festival, I found the app experience was fairly lack-luster. I had some time off and decided to take a visual pass at re-concepting the experience.